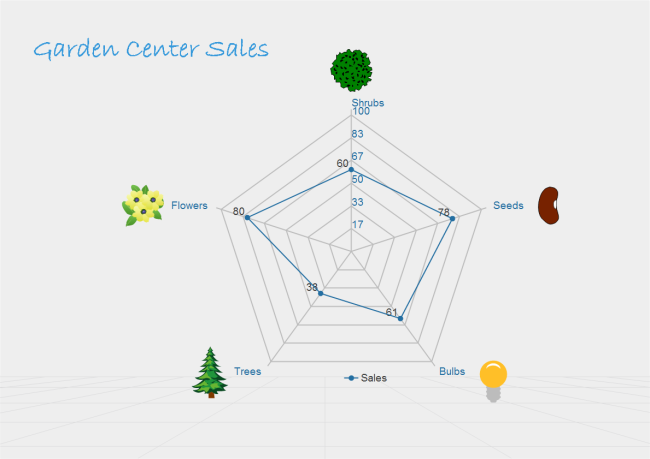 Description: Here is a free customizable sales spider chart template provided for download and direct use. It is created from smart template, requiring less than 5 minutes. Drawn by Edraw Max, it is available in different formats.